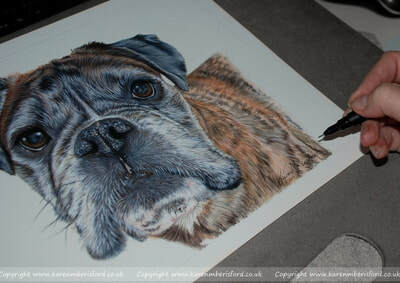 ​This portrait was booked by a previous Commissionee Sarah, who has had a few portraits of her own Boxer boys Lennox & Bruno and as her friend had recently lost Eric she wanted to give her a very special gift and asked me to do a pencil portrait of him for her. Sarah wanted the full works and requested a frame too. 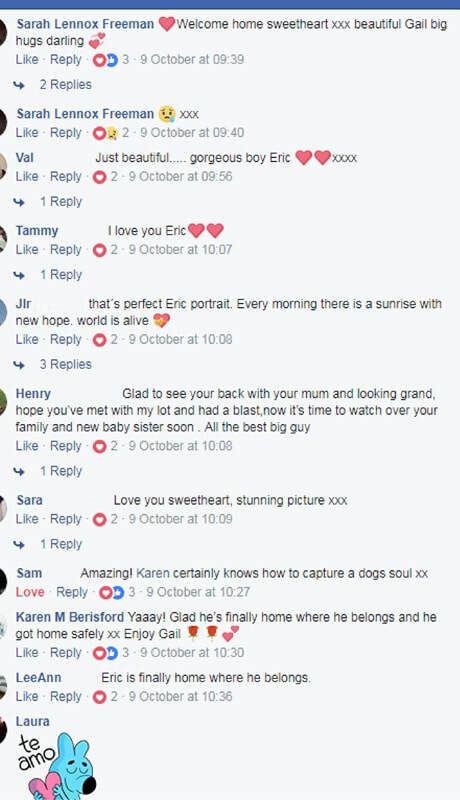 The final portrait is now lovingly treasured by Eric's Mum. 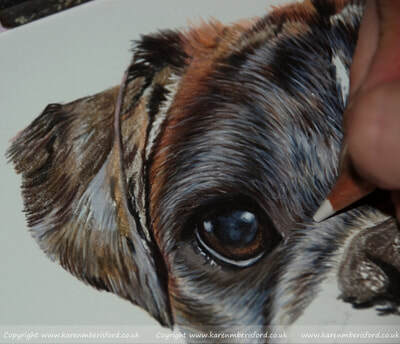 The following images are of the process which took many hours to complete as every single layer of fur is applied individually and followed up with further layers. 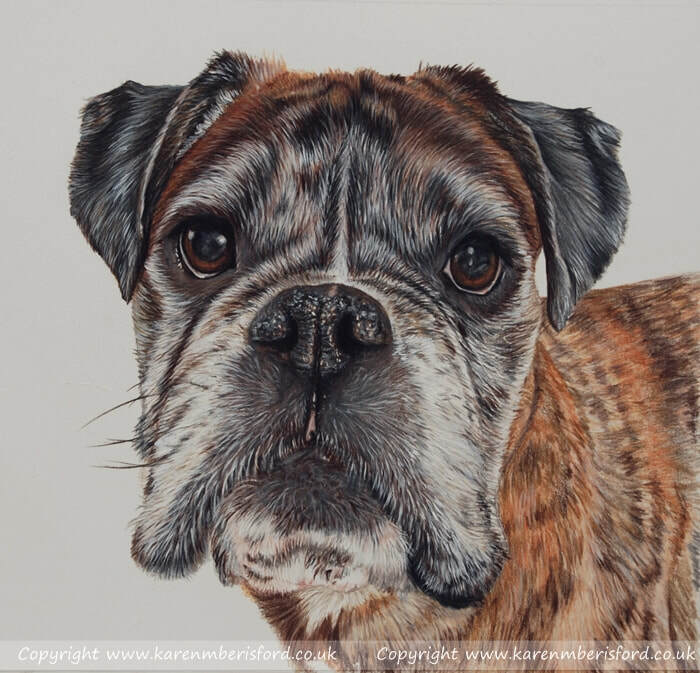 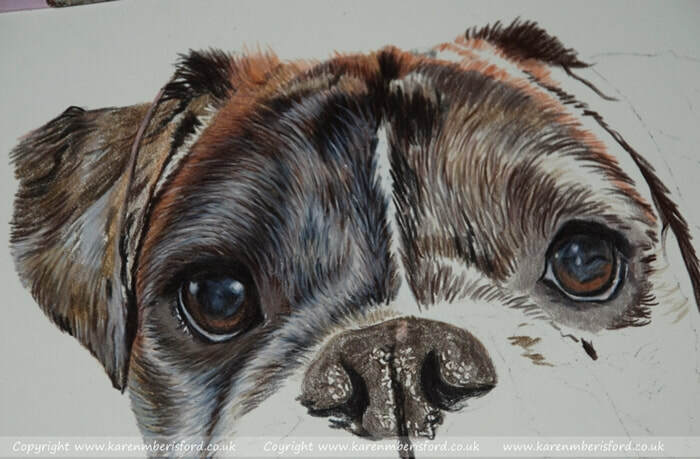 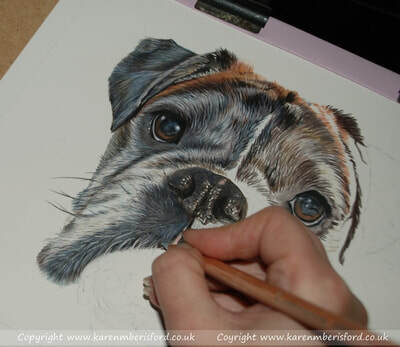 The hardest part of a Boxer dog portrait is the mouth as they have such tiny hairs and the creases around the mouth area defines the shape meaning one wrong step and the perspectives can be thrown out. 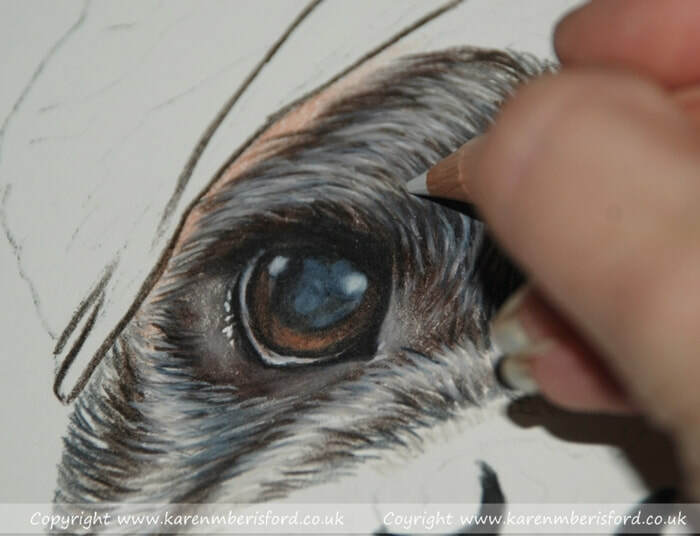 Click on any image to view larger and view finer details of the pencil work. 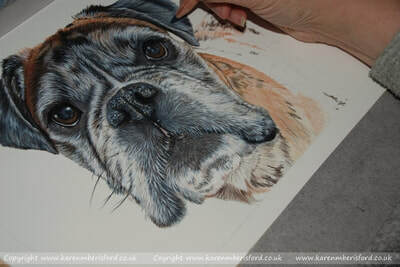 Although I do not offer framing with my pencil portraits on my website for various reasons, I can organise framing if the Commissionee specifically requests it. As Sarah had previously ordered framed portraits from myself, she also requested it for this one too. She chose a striking gold frame with double mount and a Gold name plaque which was placed inside the window of the top mount and the bottom mount was Gold with a black core. 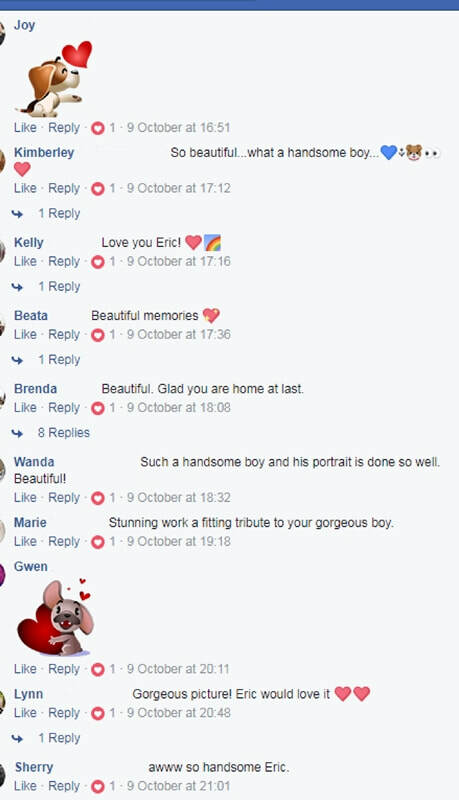 A beautiful finish. 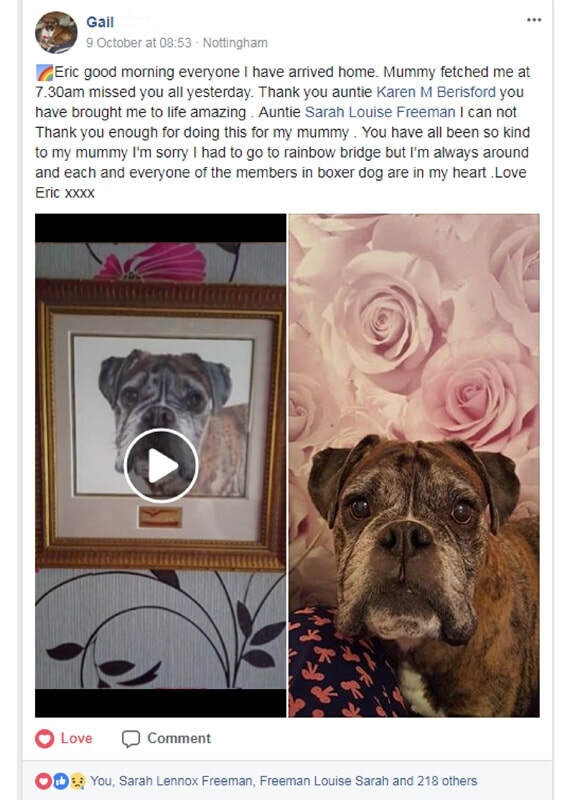 Eric's portrait was posted in a Boxer dog group on Facebook by his Mum where there really is a friendly, Boxer family atmosphere - here are many of the comments from members and friends of Eric and his Mum. 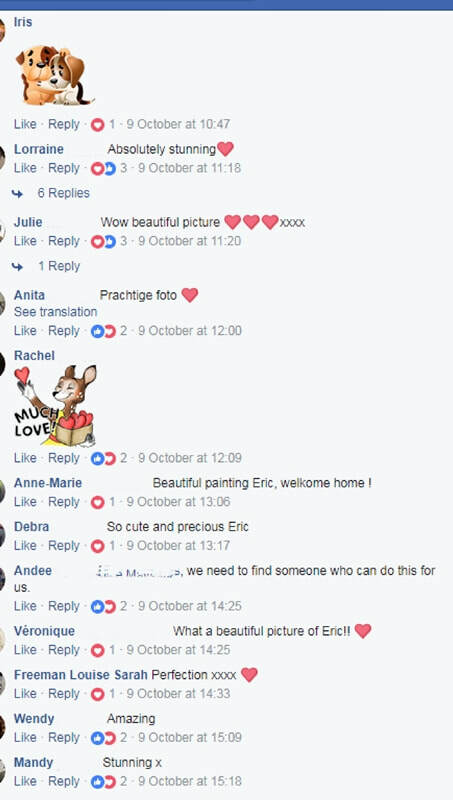 So sweet, I just had to share here! 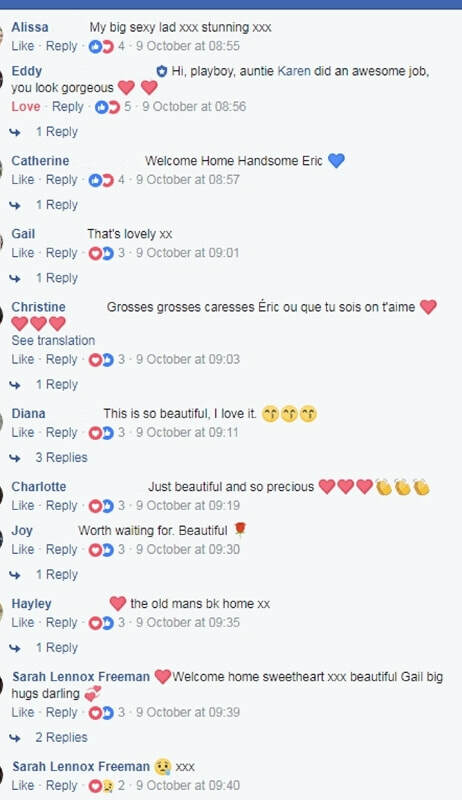 Click on any of the images below to view larger and read the comments.